Mr. Birch represents business clients in all aspects of labor and employment law and in commercial litigation. 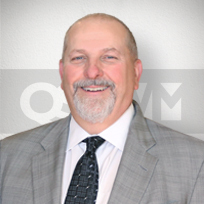 During 33 years of practice, he has assisted businesses in a variety of industries, including outsourcing, information technology, insurance, healthcare, hospitality, manufacturing, retail and wholesale, transportation, media, professional services, banking and construction. In addition to counseling clients on compliance with labor and employment laws and employee benefits, Mr. Birch represents employers in court, administrative and arbitration proceedings in individual, class and collective actions. Mr. Birch represents clients in whistleblower, corporate compliance and internal investigation matters. He represents clients in trade secret and confidential information litigation, including covenants not to compete. Mr. Birch also represents professionals and executives in employment and separation agreements. Mr. Birch’s business litigation practice includes shareholder/partner disputes, breach of fiduciary duty, fraud, contract, professional liability and business torts. He also regularly represents companies relating to corporate compliance programs and in regulatory matters.